Need a meeting room? Want some private space? On a budget? Our affordable line of budget office partitions, including glass partitions, are suitable for businesses of any size. 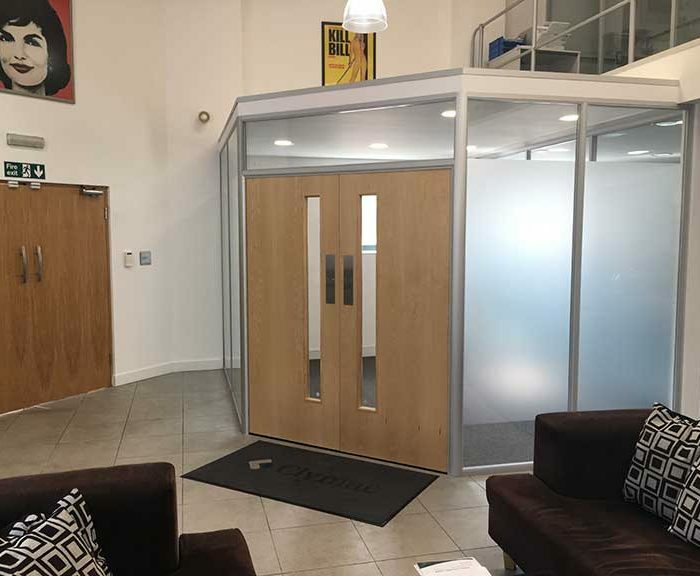 Constructed from 50mm aluminium frames, our budget partitions are still very much a durable and long-lasting option which look and feel as good as any other partition. 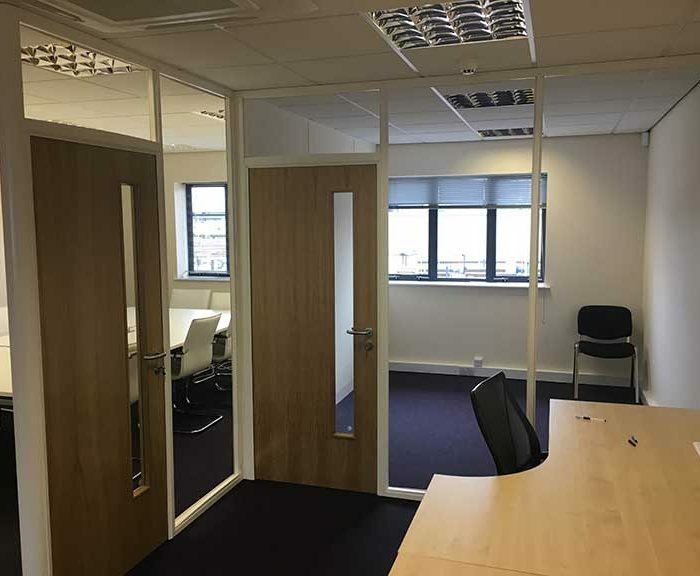 Our office partition systems can be dismantled & re-erected elsewhere in your office (dependent on ceiling heights) and so can adapt with the expansion of your workforce. Prices include supply, installation, decoration (where required) and waste removal – so you know exactly what you’re paying, without any hidden extras. We serve all areas of the East Midlands and beyond including Nottingham Derby, Leicester, Sheffield, Chesterfield and even Birmingham! Our budget office partitions can be constructed with glass, solid panels, mixed and even double glazed with privacy blinds built in. They will also be matched in colour to your existing walls, resulting in a seamless installation that looks incredible.